Comfort at your command. 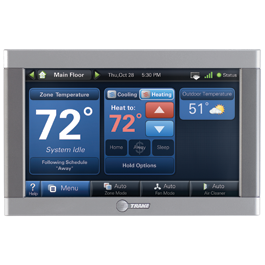 Our digital, programmable and non-programmable controls and thermostats are designed to maximize your system’s performance, giving you the power to do more than just manage temperatures. © Copyright Air/Control - State A/C Inc. All rights reserved. Sitemap | Web design & development by AdServices Inc.